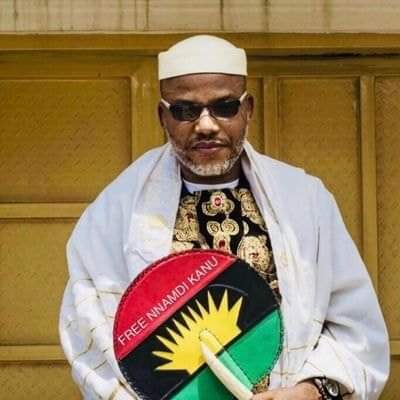 The great man from the East, unflagging leader of the Indigenous People of Biafra (IPOB), Mazi Nnamdi Kanu incited an unequivocal description of Nigeria as a zoo. It is understandable that Nigerians are the easiest people to govern because of their ineptitude towards National and political issues, and it is natural that humans are higher than animals because of the sophisticated part of their brain responsible for reasoning and logic(cerebrum). On the other hand, it is not unfair to say that Nigerians are lower than animals because they lack proficiency in their civic responsibility. No animal will associate with a different breed in their community. I have never seen a sheep flock with a dog, nor a fowl with a duck. Animals are very sensitive to the extent that when a pigeon comes close to a fowl, it will attack the pigeon, indicating that they are not of same breed. Abba Kyira in conjunction with the devilish Femi Adesina and other cabals went to far away Sudan to import a nonentity who is impersonating the late President Buhari in Aso Rock, a conduct that even Lucifer would not attempt, but Nigerians have failed to recognise the impostor even after Mazi Nnamdi Kanu identified him as Jubril from Sudan. Since all these misconducts have never occurred in the animal kingdom, Mazi Nnamdi Kanu and IPOB owe animals unreserved apology for referring Nigeria as a zoo. Nigeria should be described as an evil forest or better a hopeless community of madness. There is no sane person that will address a foreigner as Excellency, let alone, as Mr. President, instead would have him arrested together with the cabals that brought him. Nigeria is now a laughing stock among civilized nations but Nigerians still have the chance to redeem the situation by rising up and demanding that the impostor and cabals that brought him be imprisoned.